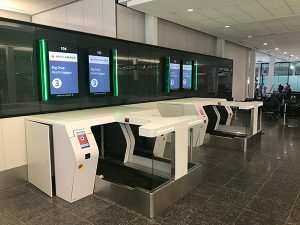 Canada’s Montréal-Trudeau airport, like Toronto airport, is now utilising automated baggage handling from Materna intelligent passenger solutions (ips), and is ready to meet the needs of substantial increases in passenger numbers. A total of 16 self-bag-drop kiosks have been in operation at Montréal since November 2018. Materna ips installed the solutions and is also providing operational support for the next three years. For the German IT services provider, this self-bag-drop project in Montréal is another big step in the context of its activities in North America, and in Canada in particular. The new check-in area in the terminal building at Montréal-Trudeau delivers a much-improved passenger experience, with its 16 new self-bag-drop kiosks, positioned as a self-bag-drop island. Utilising a two-step passenger process, passengers now print a bag tag at a check-in kiosk and move directly to the self-bag drop, decreasing process times tremendously while improving the passenger travel experience. The new self-bag drop system fits perfectly into the airport environment and its design has won compliments. Materna ips took just ten weeks to implement this passenger processing project. Van Nuys airport has just hosted “Business Jets Fuel Green: A Step Toward Sustainability,” a day-long event devoted to the use and awareness of sustainable alternative jet fuels. These include the latest formulations of jet fuel that come from renewable and sustainable sources. 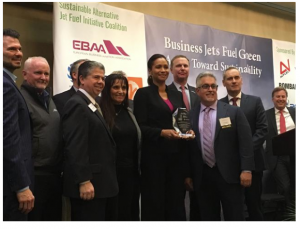 Los Angeles City Council member Nury Martinez and Los Angeles World Airports executives, including LAWA’s Chief Executive Officer Deborah Flint, joined a consortium of general aviation and business aviation advocates to promote the use of SAJF as part of a shared commitment to combating climate change through the reduction of greenhouse gas emissions from jet fuel. The airport thus becomes the first general aviation airport in the US to offer SAJF on a trial basis, serving as a model for other general aviation airports. 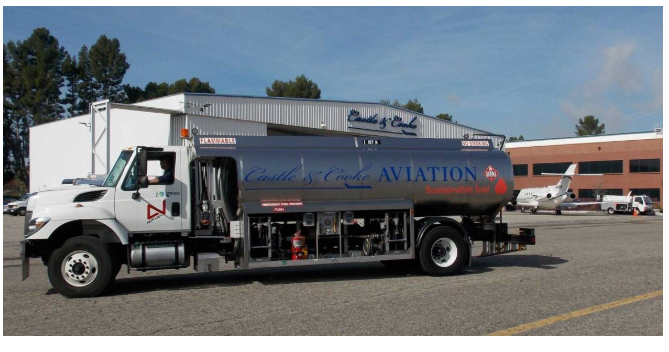 For the event, each of the participating FBOs purchased 4,000 gallons of SAJF, demonstrating the business aviation industry’s commitment to the development and adoption of SAJF. 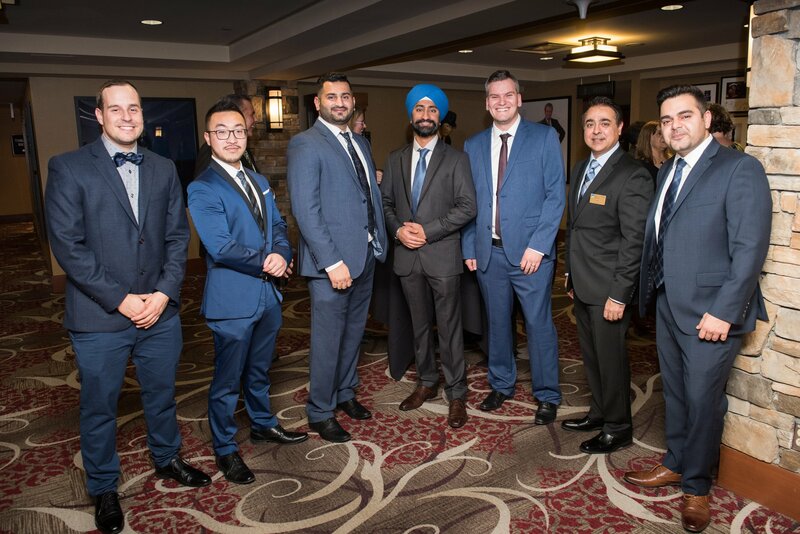 Airport Terminal Services’ Vancouver team has been named a top finalist in the Richmond Chamber of Commerce’s Business Excellence Awards. 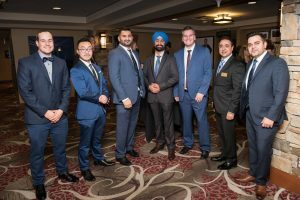 The awards recognise distinguished Richmond businesses in ten different categories and received over 200 nominations. ATS was one of the top three finalists in the “New Business of the Year” category. performance and shows promise for continued growth. 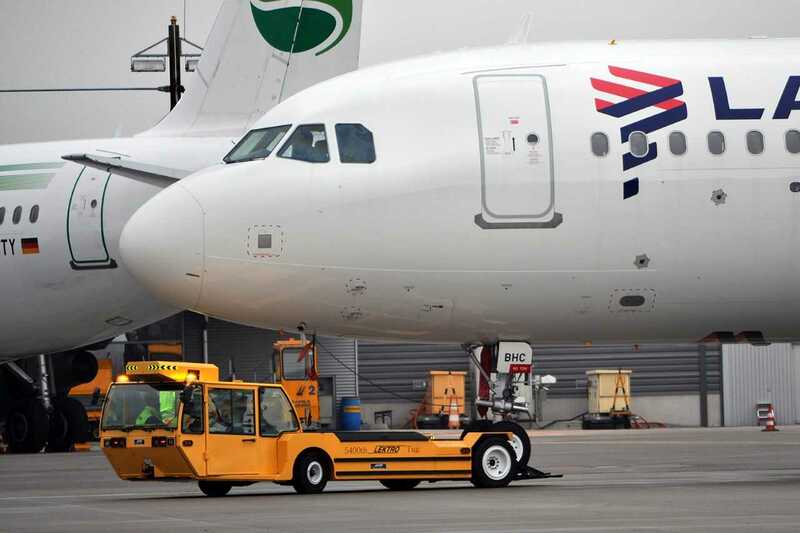 ATS began ground handling operations in September 2017 and were quickly achieving customer objectives and YVRAA safety metrics. Final construction was completed on new office space including training room, employee facilities, operations control room and management offices in October. This investment was deemed to have shown ATS’ commitment to growth and employee engagement at Vancouver International airport. On November 27, 2018, the TSA opened the application period for companies to submit their application to become a CCSF-K9 provider. GK9PG received notification on December 7 that its Operational Implementation Plan met all of the programme requirements. With this Letter of Approval, the company’s CCSF-K9 Teams that have successfully completed the required Third-Party Certification will begin operations for GK9PG’s established clients immediately. Based on the recommendations of the 9/11 Commission, 100% of everything that travels on a passenger aircraft inside the US must be screened. This is not a new requirement; however, more recent changes to the International Civil Aviation Organisation security standards removes the distinction between passenger and cargo operations. 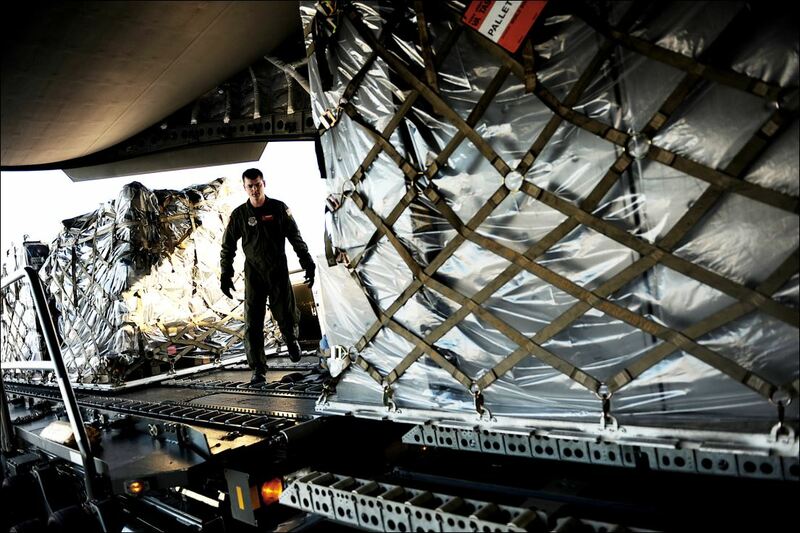 This shifts the screening requirement to all cargo transported via commercial air transportation. As a result, Homeland Security and the TSA have established the Third-Party Canine Screening or 3PK9 program to create and monitor Certified Cargo Screening Facility – K9 (CCSF-K9). 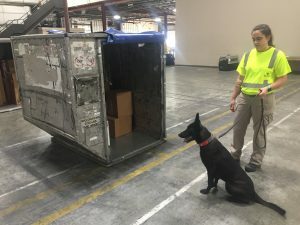 Under this programme, private sector canine companies will be able to provide TSA-certified cargo screening canine teams to assist in meeting these new requirements. 3PK9 Teams are third party or private sector explosive detection canine teams. Each team comprises one canine handler and one assigned canine that must pass an annual TSA certification. 3PK9 Teams conduct cargo screening under 49 CFR part 1549. 3PK9 teams perform cargo screening operations as CCSF-K9s once they have been certified by TSA approved certifying organisation. Electric tug manufacturer LEKTRO has passed another milestone, delivering its 5,400th aircraft tug. The latest model went to Airbus at its manufacturing facility in Hamburg and the sale enhances further LEKTRO’s presence in the battery-powered GSE marketplace. The sale was brokered by LEKTRO’s authorised dealer for Germany and Austria, Bartosch Airport Supply Services. 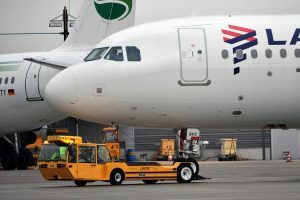 The tug, a LEKTRO model AP8950SDB-AL-200, is the American company’s second largest pushback offering, and is capable of handling all single aisle Airbus aircraft up to and including the A321 Neo. The tug also features a new cabin design. 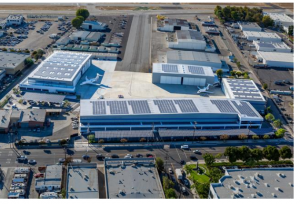 Los Angeles World Airports has joined with local elected leaders and aviation executives to further embrace sustainable energy with the announcement of solar power generation at Van Nuys general aviation airport. The airport’s business tenant, Aeroplex/Aerolease Group, showcased the recent operational launch of its solar rooftop and canopy installation, which is a first at the station, while six other business tenants also unveiled solar energy project commitments. 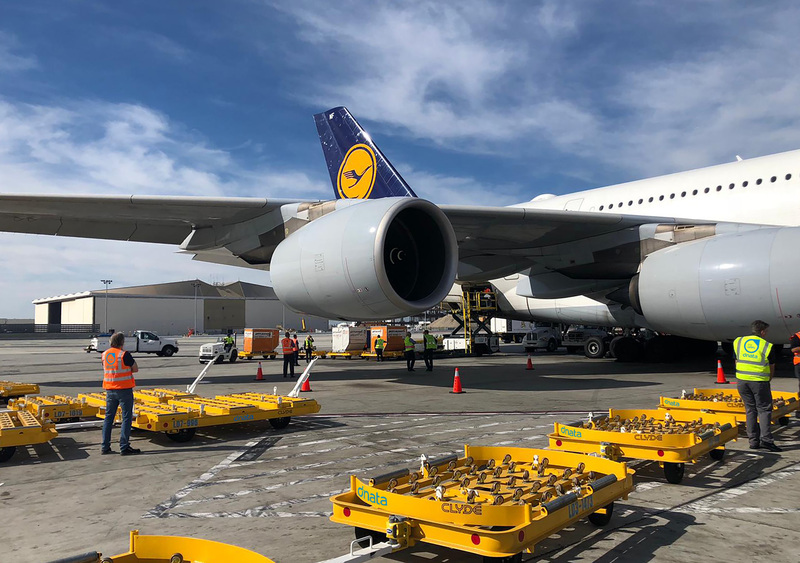 This is the first instalment of a solar power generation project at a Los Angeles airport, although there are other projects in the pipeline, pending regulatory approvals. 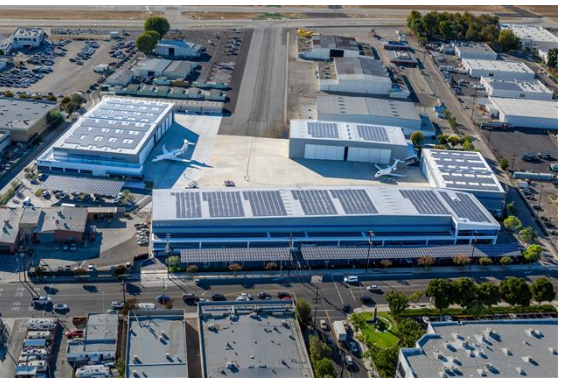 Upon completion of all seven projects that have been presented, the airport will become one of California’s leading general aviation airports for solar energy production.